Our first set of speakers have now been revealed. We're looking forward to welcoming Torsten Reil from Naturalmotion, Jonathan Smith from TT Games Publishing, Ian Livingstone and John Clark from Sega to this year's event. More speakers will be announced in the run-up to the event. Your ticket gets you access to two days of GameHorizon sessions as well as the official party, closing BBQ and more. Get your tickets now! Also, this year's GameHorizon conference features the inaugural GamesIndustry Innovation Awards ceremony. Stay tuned for more info on this exciting new addition to the event! 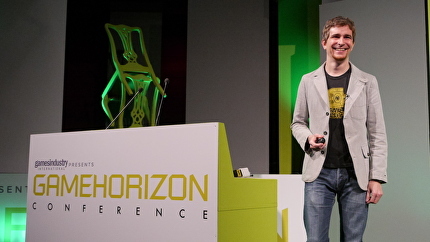 GameHorizon aims to be Europe's most relevant forward-looking games industry event. With a combination of inspirational sessions, debate and networking it's the place to plan the future of your video game business. Inspired by the wider entertainment markets, speakers are hand-picked by the GamesIndustry International editorial team for experience and knowledge of their respective fields. Sessions are targeted at future opportunities and industry growth through new technology, creativity and financial success. With over 250 decision-makers, CEOs and creative talent in attendance, GameHorizon is an essential addition to the games industry calendar.